The Tony Gollan-trained Ef Troop is one of many Queensland winter carnival hopes to trial. Top three-year-old Ef Troop has headlined barrier trials by several winter carnival hopes in their first public hit-outs since spells at Doomben and the Gold Coast. 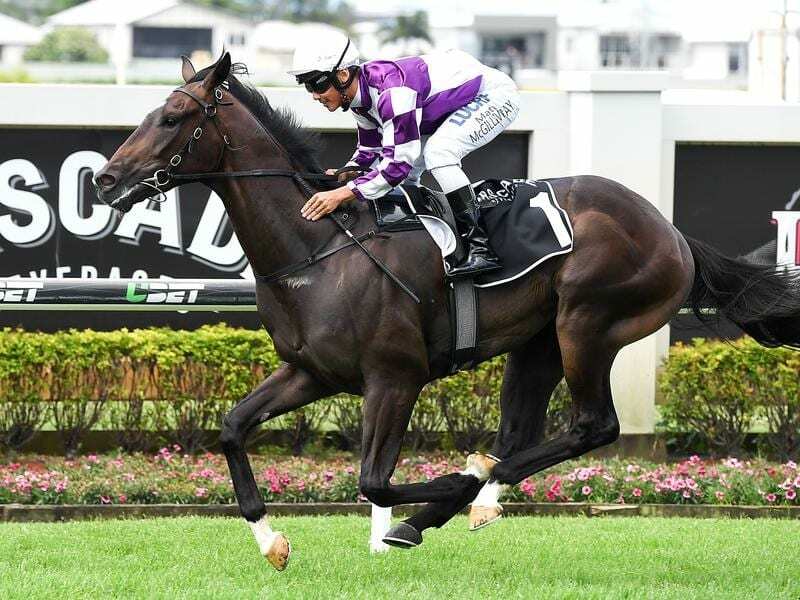 Ef Troop was having his first serious test since October and after being caught three-deep early had far too much pace over 840m for a handy field of open company horses at Doomben on Tuesday. Trainer Tony Gollan said Ef Troop would have another trial before going to the Listed Mick Dittman Plate at Doomben on April 20. “He did what we wanted and that trial should bring him along nicely,” Gollan said. He was also happy with the efforts of A Man To Match and Country Cocktail. Gollan is hopeful A Man To Match, who ran on from last for third in his trial, will measure up to the Group One Queensland Derby and the colt will have another trial before his comeback next month. The decision not to press on with a Magic Millions campaign in preference to a winter campaign for Country Cocktail looks a smart one after her trial win. “Country Cocktail won her trial well today and she will have a jump-out before coming back in a two-year-old fillies race at Eagle Farm on April 13,” Gollan said. At the Gold Coast, smart sprinter Whypeeo showed he had taken no harm from a Melbourne spring campaign with an impressive win. Whypeeo won a 1000m trial in 58.34 which was slightly faster than classy mare Volkoff in her heat win. Stradbroke Handicap bound Cadogan was second to Volkoff but turned in a good trial coming from second last on the turn. Toby Edmonds trains Whypeeo and Cadogan and said both were headed to the big Group sprints in the winter. Trainer Bryan Guy is pleased with prolific winner Volkoff who is set to return to racing at Eagle Farm on April 13 in what will probably be her last campaign. “She looks to have returned in really good order and should have a good winter,” he said.